The ARIES® M1 System is a fully integrated, sample to answer platform for performing real-time PCR assays. The system has recently received FDA clearance and CE-IVD marking, with a design that is targeted for lower throughput clinical labs. The ARIES M1 System is designed to aid satellite clinical laboratories in taking advantage of the same benefits as the higher throughput ARIES System, with features such as an intuitive system interface, STAT or batch testing, and true walkaway capability. 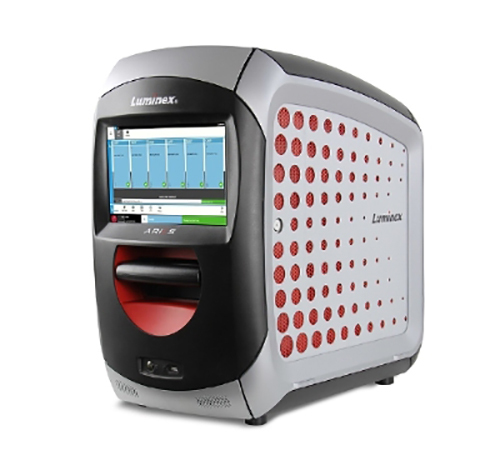 The system extracts, amplifies, and detects nucleic acid targets from a variety of sample types. Once the cassettes are loaded onto the instrument, results are generated without additional technical intervention. The system can process up to six different samples, and one to six assays, at a time.